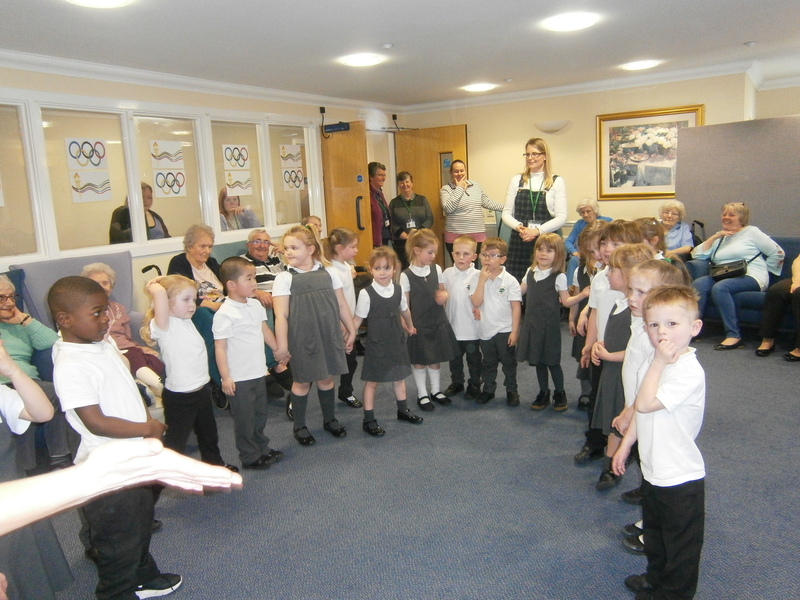 Year groups take it in turn to regularly visit our friends next door at Chestnut Court Care Home. The children participate in musical theatre, involving story telling, singing and dance. 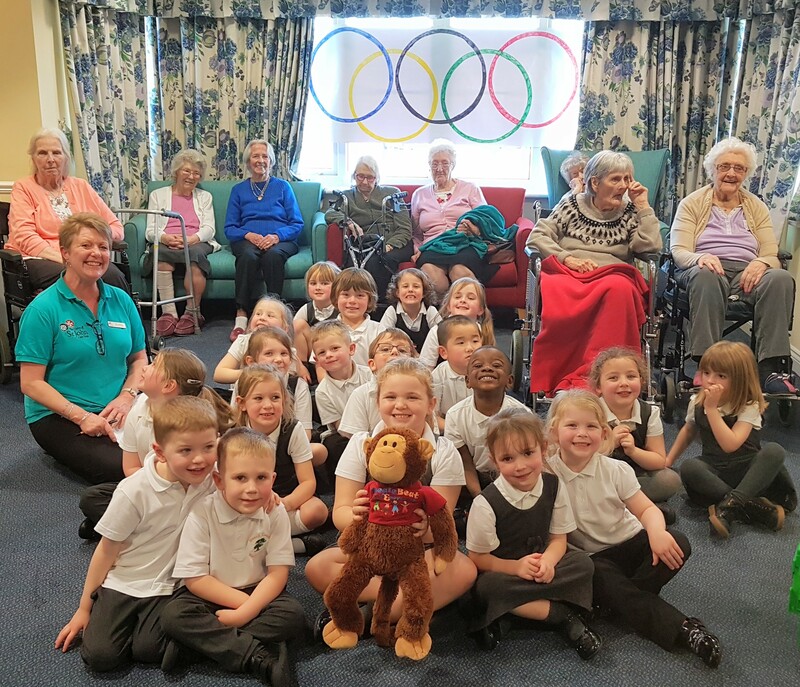 The young children and elderly residents all enjoy themselves sharing some special time together. Photo taken by Catrin Rod of Boogie Beats, who run the sessions. To make the day even more special, the children came to school dressed in the colours of their country's flag. 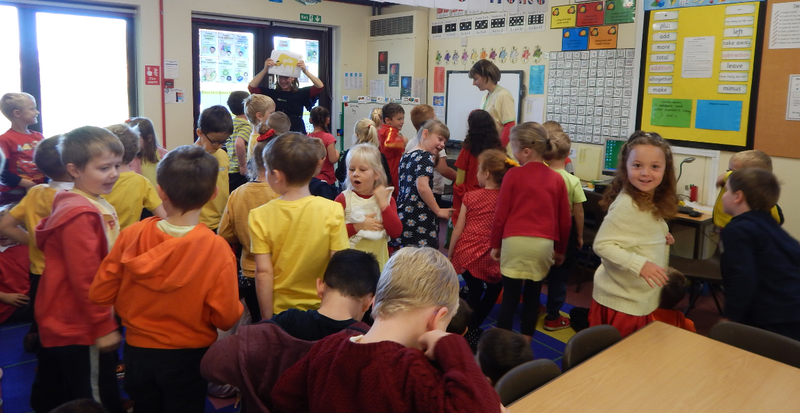 The photo below shows Year 2 who made German flags and invited a German lady to visit, who kindly taught the children lots of new German words and told them all about Germany. The day began with the whole school gathering together, and as it was Bonfire Night, links were made as to how fireworks are used in different celebrations within many different religions and cultures. The children then welcomed a visitor who came to share elements of Indian dance with them, focussing on the use of ‘Mudras’ (hand gestures) used by Hindus within dances. Throughout the day, many year groups had the fantastic opportunity to work with our visitor, learning about different moves and then incorporating them into their own dances, we discovered we had some budding choreographers! 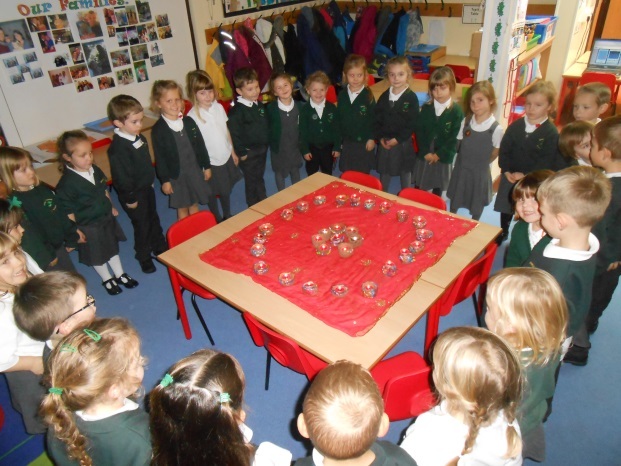 The school was filled with the sights, smells, tastes and sounds of Diwali as the whole school learnt about the Hindu festival. The children learnt about the story behind the festival and also how Hindus all over the world celebrate in different ways. This involved the children taking part in activities such as making clay Diva Lamps, creating Rangoli patterns, decorating hands in Mhendi patterns, tasting Mango Lassi, to name just a few! 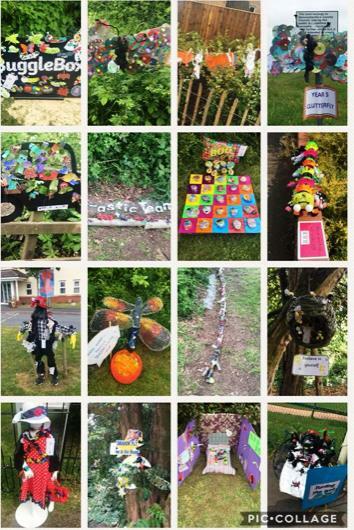 Our generous community came out in force one Saturday for the Big Bug Hunt. About £600 was raised just from map sales. All this money will be spent on the children in our school. Thank you to everyone who organised the event, baked a cake, made a bug or bought a map.